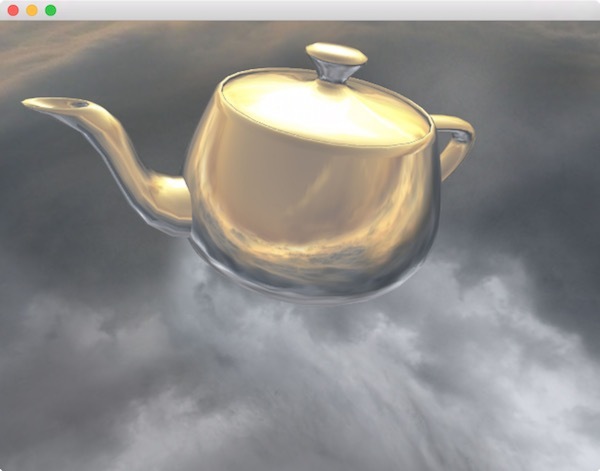 This short guide will walk you through getting Cinder running on your OS X machine. You'll need Xcode 5.1.1 or later. In general this is best installed through the App Store, and is available here. If you are using one of our packaged releases, you already have everything you need. If you're working from GitHub you'll want to follow the build instructions in our Cinder + Git guide. To test your installation, we'll build one of the samples. From the Finder, navigate to the samples/_opengl/CubeMapping folder and open xcode/CubeMapping.xcodeproj by double-clicking it. From the Product menu select the Run item. Xcode will take a few seconds to build the sample and then it should launch and look similar to the screenshot below. TinderBox is Cinder's GUI tool for creating new projects quickly and easily. A guide to creating projects using TinderBox is available here. While not strictly necessary, if you're working from a prepackaged release and would like to be able to step into Cinder's own code during your debug process, you'll want to build Cinder with debug symbols. This is straightforward - just open xcode/cinder.xcodeproj in Xcode and build the Debug configuration for the Cinder target. If you are doing iOS development you'll want to do the same thing for the cinder_iphone and cinder_iphone_sim targets. If you would like to keep up with the latest Cinder development, the project is hosted on GitHub. A guide for setting up Cinder using git is available here.